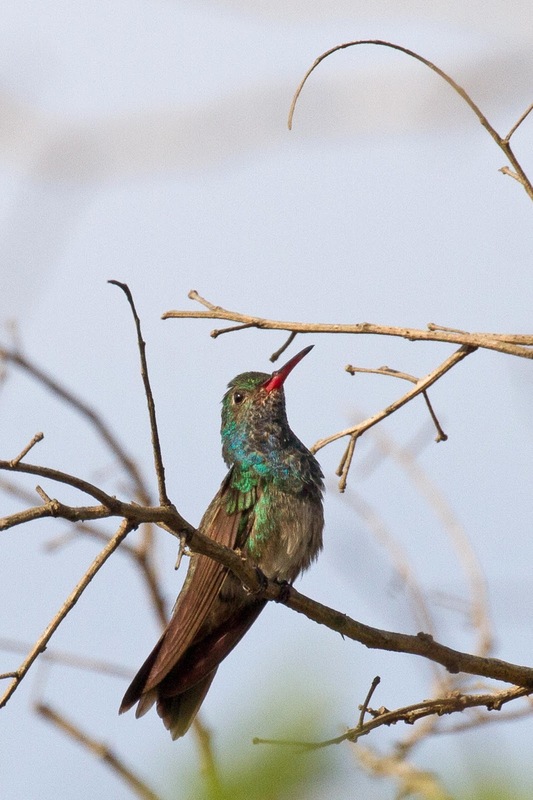 Philly Bird Nerd : Hummers! Central America is home to many hummingbirds which can be easily viewed at lodges that put out feeders, along roadsides that have blooming flowers, in the mountains and even in the desert. We saw hummers in each of these settings during our trip to Honduras. 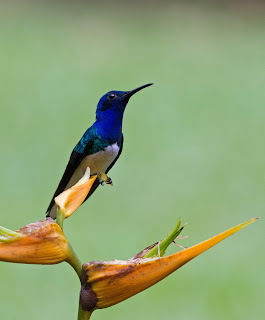 At Pico Bonito Lodge, we were met by dozens of hummingbirds including this White-necked Jacobin. Beautiful blue and green. 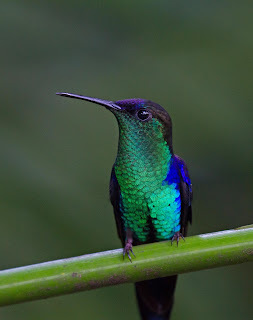 Another stunner at Pico Bonito Lodge was this Violet-crowned Woodnymph. The green breast was only brilliant when sunlight hit it just so. I was lucky that this guy posed for me one afternoon. Here is another Woodnymph sticking his tongue out after getting a big drink of sugar water from the feeder. 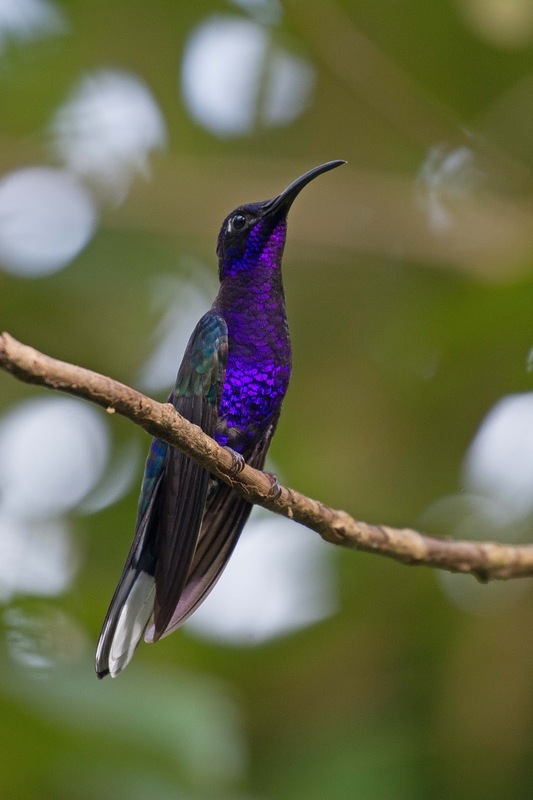 The other crowd pleaser at Pico Bonito Lodge was this Violet Saberwing. 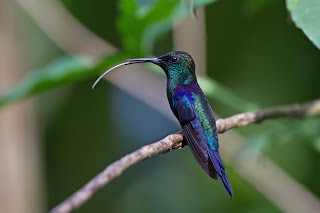 This is a "big" hummer with long wings. As with the Woodnymph, the brilliant purple breast was only visible in sunlight otherwise, it just looked dull black. 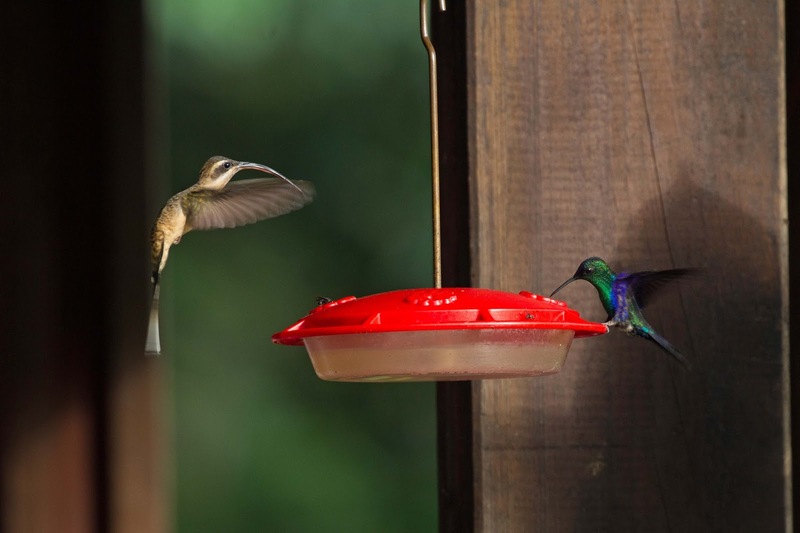 Other hummers at the lodge are extraordinary but not because of their color, but because of their bill. 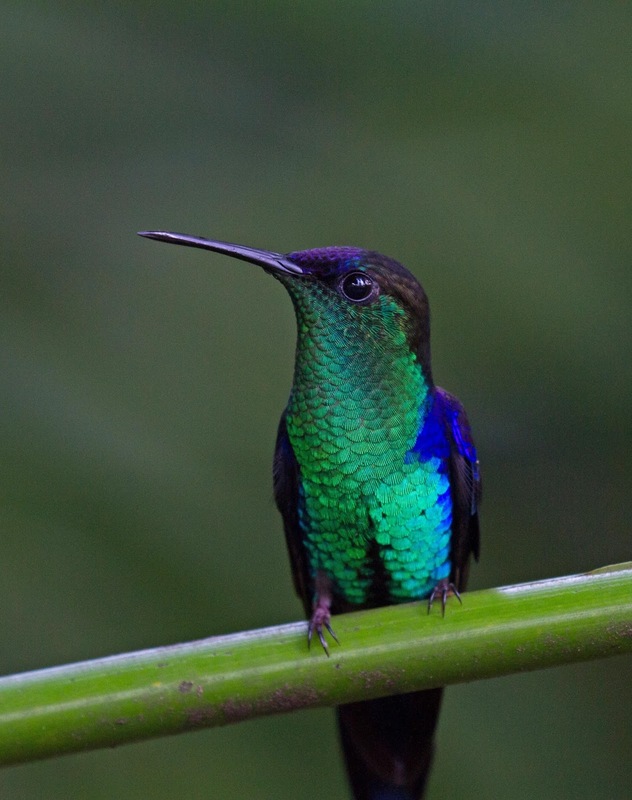 A few other notable hummingbirds are not much to look at but are very desirable to birders. 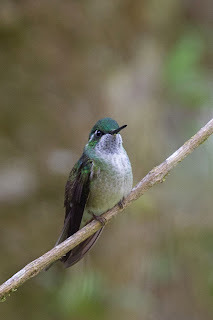 Here is Green-throated Mountain Gem which is only found at high elevations. And here is the most desirable hummingbird of all - Honduran Emerald. This little bird was the reason for our trip to the Aguan Desert. The bird is only found there. We found this bird pretty easily in the scrubby bushes. 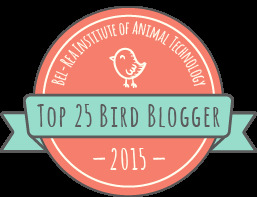 We are all glad that we made the trip for this bird since there are very few of them in the world. Great photos!!!! Thanks for being a fun seat buddy on the Philadelphia flight.